The award travel world is chock full of amazing value, including getting first class flights and posh hotel rooms for pennies on the dollar. For this reason, I personally consider this profession like a sort of treasure hunt! But it’s also full of little hiccups and obstacles. In particular, among the biggest annoyances are fuel surcharges. This definition makes total sense…in theory. We have seen airlines time and again raising fuel surcharges for no apparent reason — especially not due to a swing in oil prices. Additionally, these increases don’t affect revenue customers, because the ticket prices are still the same. The only people that really feel these fuel surcharges are award travelers. 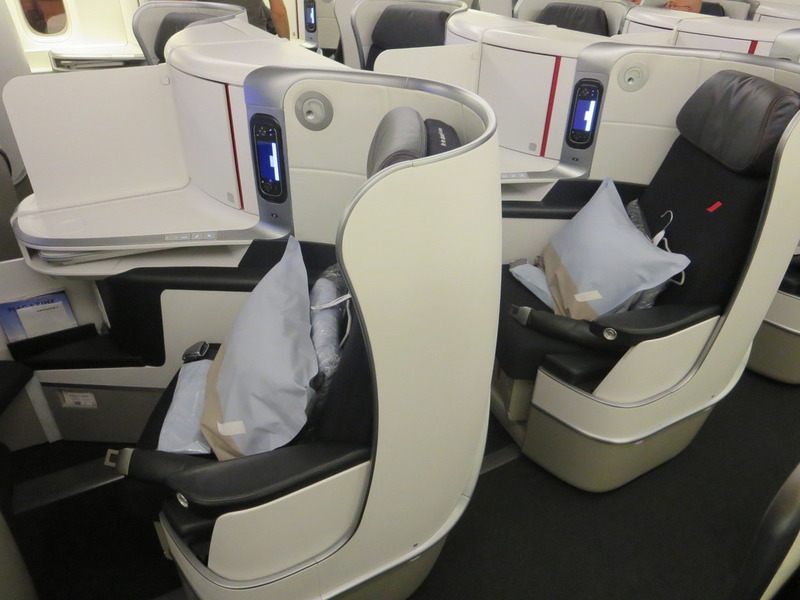 Imagine this: you’ve finally decided that you’re going to visit the U.K. on British Airways’ business class. 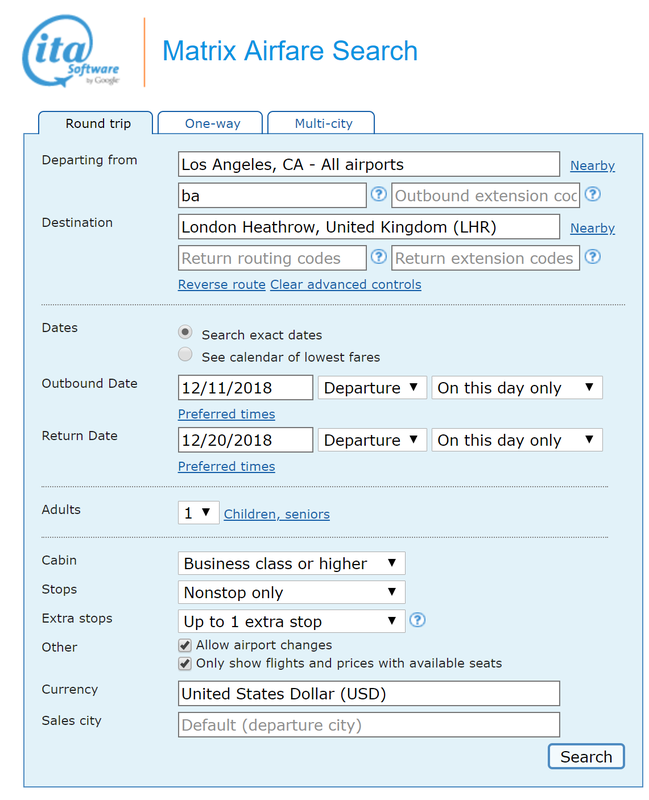 You’re using American Airlines miles to book your Oneworld award, and you see $1,428 in fuel surcharges for a round-trip business class flight. O.M.G! At that point, you’re basically dumping your points away and paying over $1,000 to fly in business class. Not cool. 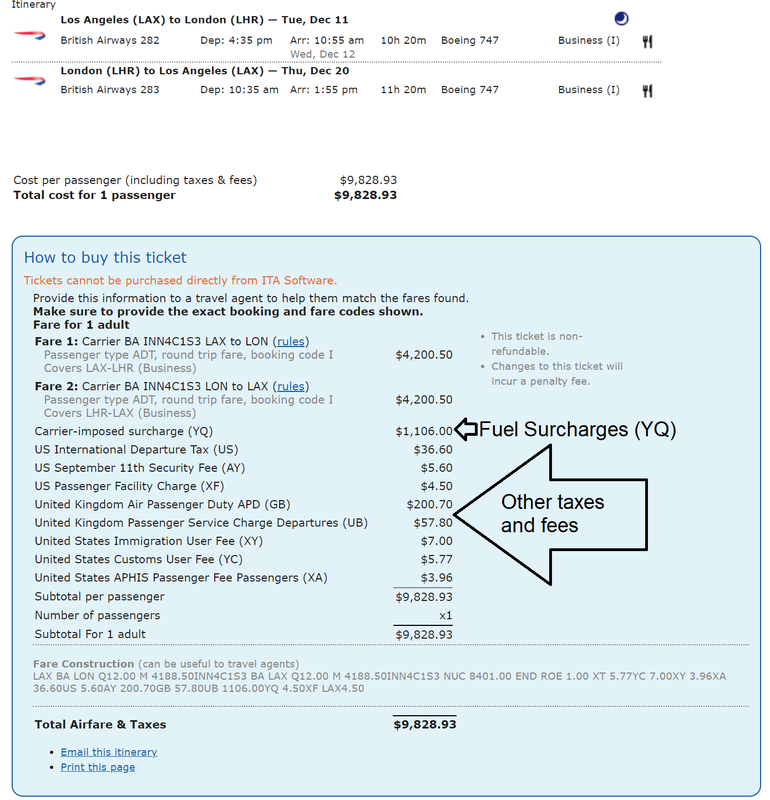 British Airways will levy fuel surcharges on its Los Angeles (LAX) – London Heathrow (LHR) flight. American Airlines AAdvantage will pass on fuel surcharges on this flight, while British Airways Avios will not. In short, the levying (or charging) of fuel surcharges is up to the airline operating the flight, while passing on fuel surcharges to an award traveler is dependent on the frequent flyer program. The next biggest question is: How do I find out if the flight I want to take has fuel surcharges? Let’s take the same example route on British Airways’ Los Angeles (LAX) to London Heathrow (LHR) flight. A complete search query will help you find out which flights have fuel surcharges. Be sure to toggle Advanced Controls to specify which airline you’re interested in. It might be like reading hieroglyphs, but look for the famous “YQ.” In this case, the round-trip fuel surcharge is a shocking $1,106! The other taxes and fees are unavoidable, so you will have to pay for them regardless. Now that you know how to ascertain the fuel surcharge amount for a specific flight on a specific airline, let’s talk about the airlines the levy the most in fuel surcharges. Bottom Line: Google ITA Matrix is your best friend when looking up fuel surcharges. 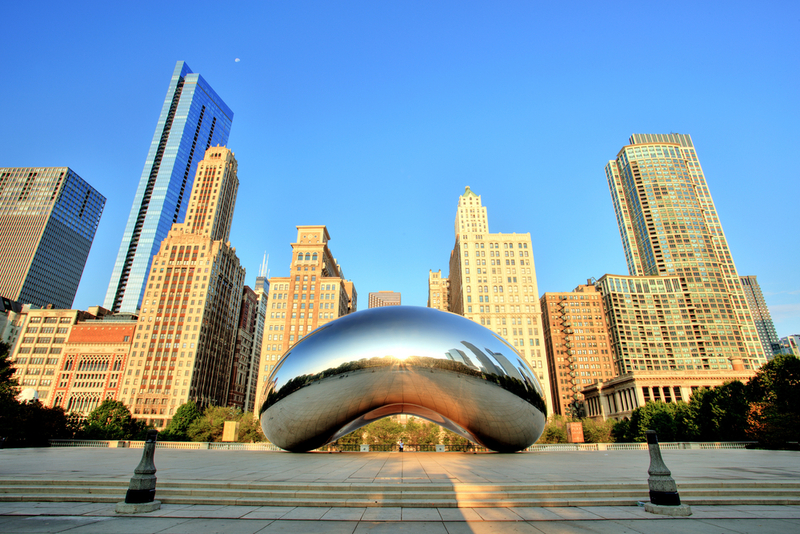 Check out our Matrix ITA Advanced Guide for other tips for finding cheap airfare! For the purposes of this section, we’ll assume that the route you will be flying on is a round-trip flight from the U.S. In later sections, we’ll get into how you can avoid fuel surcharges by flying different routes. Lufthansa A380 first class. Image courtesy of Greg Stone. 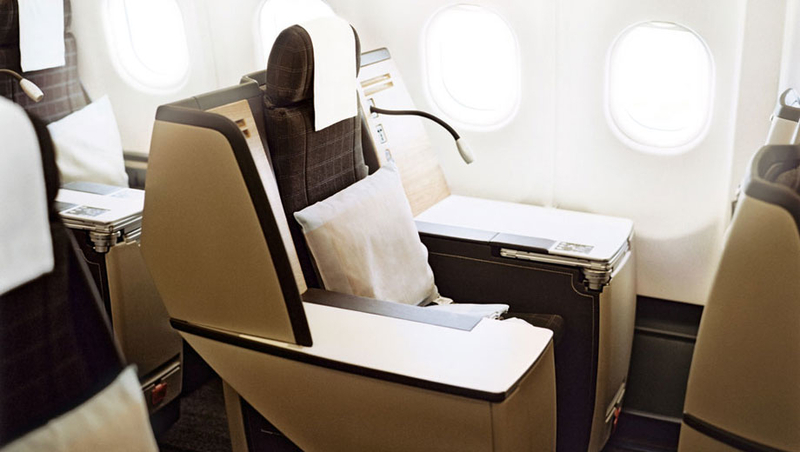 Lufthansa is famous for having a lackluster business class product, but a phenomenal first class product. Total taxes and fees for round-trip first class are ~$1,683, while business class is ~$1,283, and economy is $527. The key to minimizing fuel surcharges here will either be to use a Star Alliance frequent flyer program that doesn’t pass on fuel surcharges, or to fly between countries with regulation limiting/prohibiting fuel surcharges. British Airways has some of the most insane fuel surcharges. Although there are tons of ways to book British Airways first class and business class, it’s more or less an art to avoid fuel surcharges. Additionally, the U.K. levies the Air Passenger Duty (APD), which for business class can add on a whopping £146 per person for flights departing from the U.K. This is yet another consideration you need to make! The best way to avoid the APD is not to fly from the U.K. back home. Total taxes and fees for round-trip first class are ~$1,683, while business class is ~$1,427, and economy is $571. Iberia business class A330. Image courtesy of LuxuryTravelDiary.com. Iberia is the Spanish flag carrier airline. It is owned by British Airways and is also a Oneworld partner, so booking award travel on Iberia will involve a Oneworld frequent flyer program. Currently, Iberia passes on $1,106 in round-trip fuel surcharges for business class flights between America and Spain. Economy will be $350. The total taxes and fees for business and economy class are $1,198 and $442, respectively. SAS business class. Image courtesy of airlinereporter.com. SAS, which serves as the flag carrier for several Scandinavian countries like Denmark, Sweden, and Norway, is a Star Alliance partner. 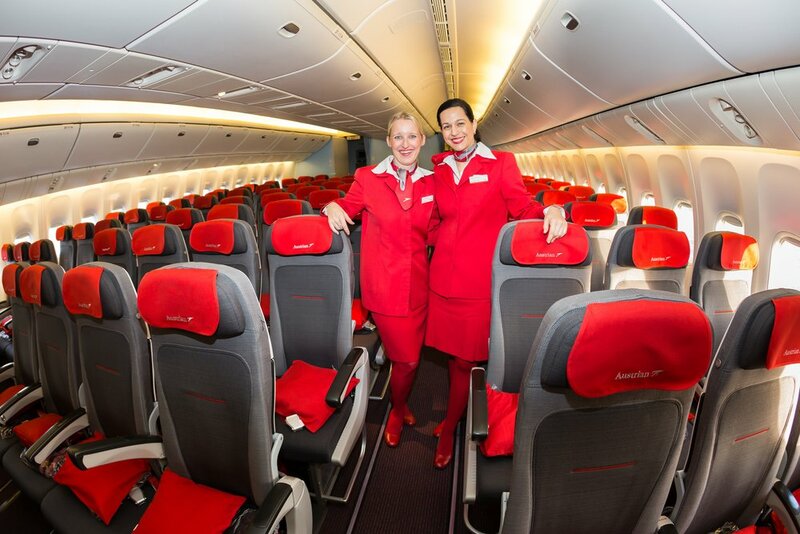 They don’t offer a first class cabin, so our fuel surcharges will be limited to business and economy class flights. For round-trip flights between America and Europe, the fuel surcharges will be $1,106 for business class and $350 for economy. Correspondingly, the total taxes and fees for business and economy class on these routes will be around $1,215 and $458, respectively. 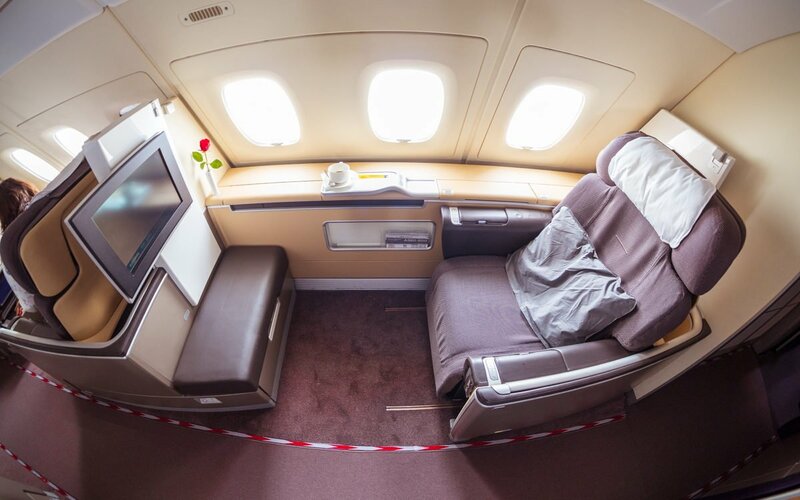 Fly in style in your private cabin with Emirates first class — and don’t forget to take a shower on their A380. Image courtesy of Upgraded Points. Emirates is known as one of the best airlines in the world for good reason. They have a magnificent first class, which you can see from our review. There are tons of ways to book both business and first class, too! Total taxes and fees in round-trip first and business class are around ~$1,722, while economy sits around ~$608. Air France 777 business class. Image courtesy of airliners.net. Air France is the first SkyTeam airline we will discuss. They don’t allow award bookings for first class, so we’ll be restricted to business and economy flights. For round-trip flights between the U.S. and France, your fuel surcharges will be $1,326 in business and $376 in economy. After adding up all the extra taxes and fees, your out-of-pocket cost is $1,502 for business class and $500 for economy. SWISS is owned by Lufthansa Group, so it makes sense that their fuel surcharges will be roughly the same. The difference is that SWISS has an excellent business class (particularly on the 777). Total taxes and fees for round-trip first class are ~$1,622, while business class is ~$1,222, and economy is $466. 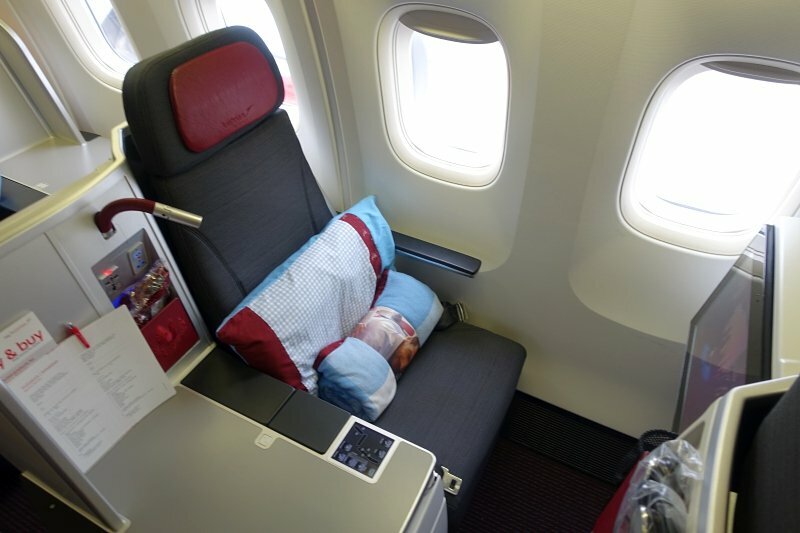 Austrian Airlines business class. Image courtesy of theluxurytravelexpert.com. Austrian Airlines is also another Star Alliance airline that levies loads of fuel surcharges. On flights between the U.S. and Austria, round-trip business class fuel surcharges run around $1,106, while economy runs at $350. After adding the remaining taxes and fees, your total out-of-pocket taxes and fees will be $1,238 in round-trip business class and $482 in round-trip economy. Qatar Airways QSuites business class. Image courtesy of Business Insider. 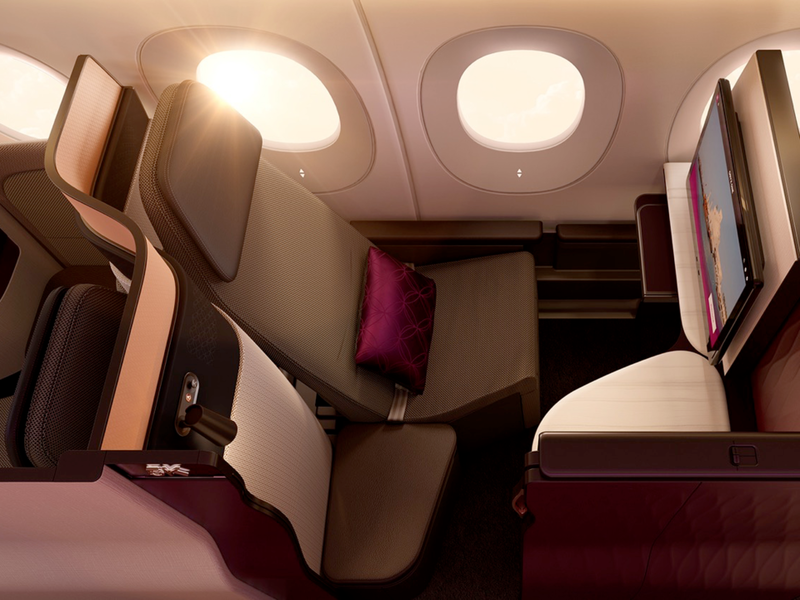 Qatar Airways offers arguably the best business class product in the sky, called QSuites. Although very few carriers pass on fuel surcharges on Qatar Airways flights, it’s still useful to know just how large the fuel surcharges are here. For the sake of comparison purposes, we’ll assume that you’re booking a round-trip flight between the U.S. and Qatar. For these flights, fuel surcharges will be $1,226 in business and $472 in economy. Your total out-of-pocket taxes and fees in business is $1,314, while economy is around $568. Hot Tip: Keep in mind that although Qatar Airways themselves levies huge fuel surcharges, you will rarely pay for these when booking awards because partners like American Airlines or Asia Miles typically do not pass on surcharges for travel on Qatar Airways. Air Canada “Signature” business class. Image courtesy of aircanada.com. Fuel surcharges on Air Canada will vary depending on the route you take, but the following fuel surcharges are for a round-trip flight between Toronto (YYZ) and Frankfurt (FRA). For round-trip flights, your fuel surcharges will be $715 in business and $388 in economy. Furthermore, your out-of-pocket total fees (including fuel surcharges) will be $853 or $526 for round-trip business or economy, respectively. Turkish Airlines is another Star Alliance carrier. However, their fuel surcharges aren’t as drastic as the airlines above. These surcharges will run in the low hundreds instead of the thousands. Total taxes and fees for round-trip business class are ~$424, while economy is around $344. 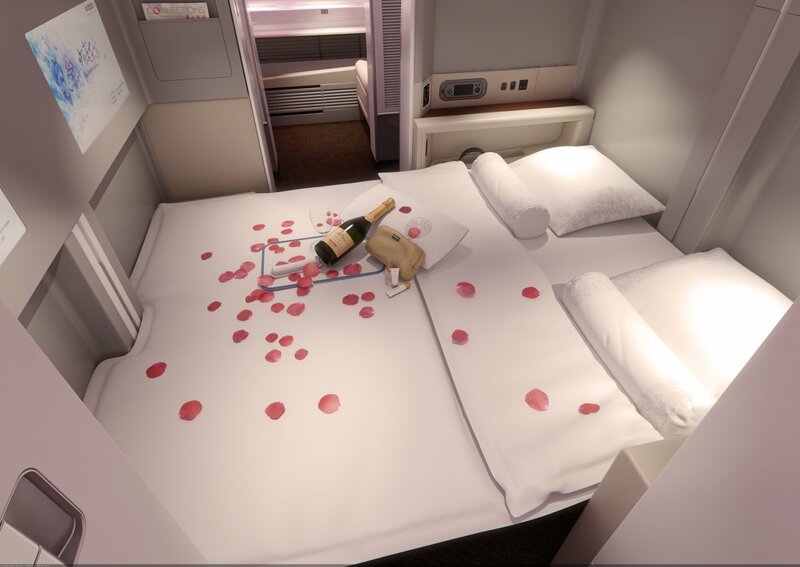 China Eastern’s 777 first class offers fully lie-flat double beds! This SkyTeam Airline is one of the many airlines in the alliance that add fuel surcharges to their flights. Total taxes and fees for round-trip first class and business class is ~$584, and economy is $454. 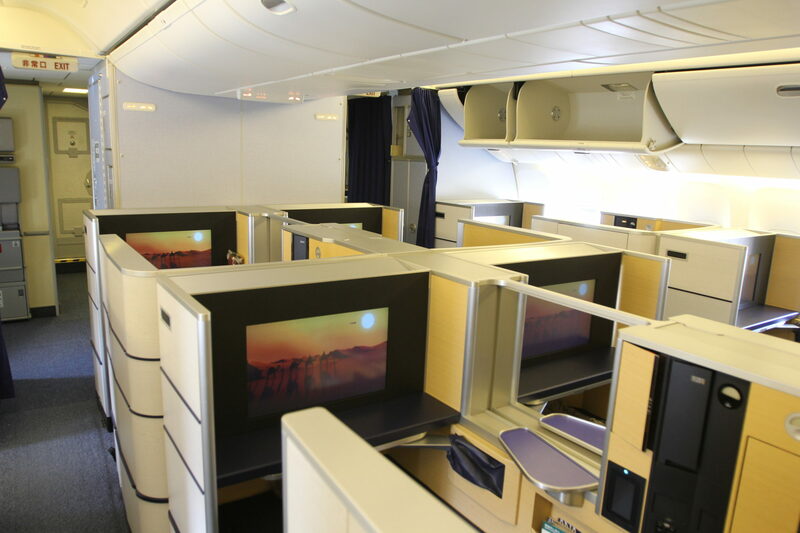 Aeroflot’s business class in a 2-2-2 configuration on the 777-300ER or A330-300. Image courtesy of aeroflot.ru. For Aeroflot’s flights to/from Russia, fuel surcharges will be levied. This SkyTeam partner operates the A330 on most flights to/from America. Round-trip business class fuel surcharges are ~$480, and economy is $240. Total taxes and fees for round-trip business class are ~$558, while economy is around $319. ANA’s first class suites. Image courtesy of airlinereporter.com. ANA is known for excellent premium cabin round-trip redemption rates. In fact, they’ve got some of the best redemption rates in the frequent flyer world. Until recently, they did not levy fuel surcharges on flights to/from Japan. Although this has since changed, the fuel surcharges are still very reasonable, especially for the number of points you’ll save when using ANA or Virgin Atlantic to book. Expect round-trip fuel surcharges to be around ~$260 regardless of cabin class for flights between the U.S. and Japan. Total taxes and fees for round-trip flights will be around $346. Asiana Airlines is a great way to traverse the Pacific Ocean on the way to South Korea. Similar to ANA, Asiana levies the same fuel surcharge regardless of the cabin class you’re traveling in. 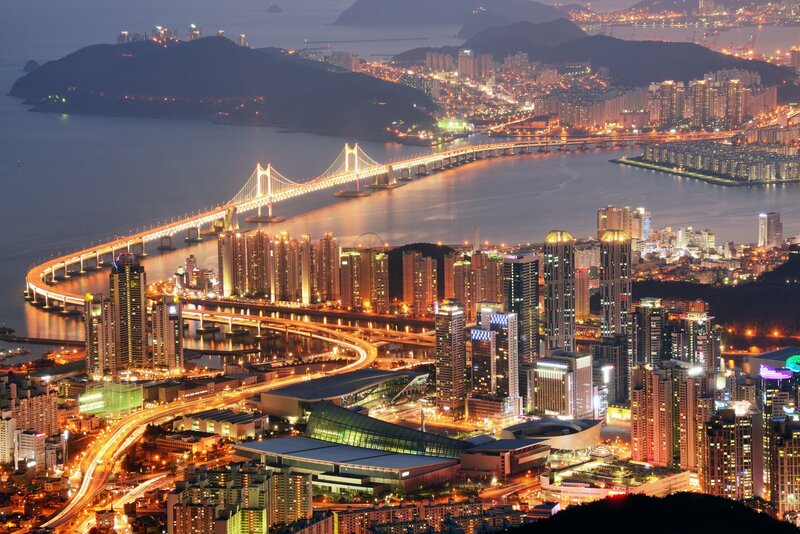 Expect a fuel surcharge cost of $262 and total taxes and fees of $350 for round-trip flights between America and South Korea. There are several frequent flyer programs that do not pass on fuel surcharges to the award traveler. Most of the time (but not always), these frequent flyer programs will cost more miles. In a sense, you’re often considering the trade-offs between using more miles vs. using cash to pay the fuel surcharges. It’s ultimately up to you to pick which method to use. Here’s an example. Let’s assume we want to fly one-way from Chicago (ORD) to Frankfurt (FRA) in Lufthansa first class. Basically, the decision is to use 17,000 more points vs. pay $750 extra. You’d have to value your points at least 4.4 cents each to make paying fuel surcharges worthwhile. United Airlines Mileage Plus is a fabulous program, especially for those new to booking award travel. Why do we say that? They are remarkably simple to use: you can book awards completely online, award availability searches are made easy with month-long calendar searches, and it’s easy to earn a lot of United miles! Additionally, because United Airlines is a Star Alliance airline, you’ll enjoy a diverse and widespread route network for booking award travel. Hot Tip: Need help deciding which United credit cards to get? Check out our post comparing all 4 United credit cards! Best of all, United Airlines does not pass fuel surcharges on customers! 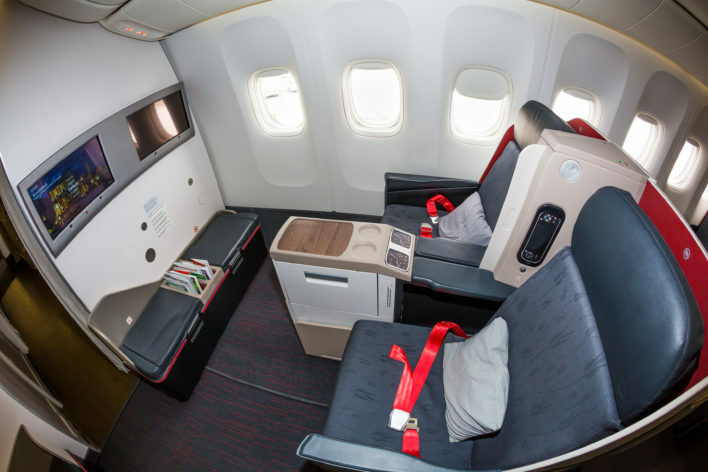 Avianca Vuela has tons of award redemptions that deliver fantastic value. In my opinion, it’s one of the most underrated frequent flyer programs out there. As far as fuel surcharges, you don’t have much to worry about: Avianca Vuela will charge $30.60 in total taxes and fees for a one-way flight and around $36 in total taxes and fees for a round-trip flight! Bottom Line: Using Avianca LifeMiles is great because you avoid fuel surcharges on all airlines, can book awards completely online, have 3 transfer partner options, and can purchase miles at huge discounts! Just watch out for less award availability access than United. Singapore Airlines doesn’t levy fuel surcharges on its own flights, but fuel surcharges will be passed on with all partners. 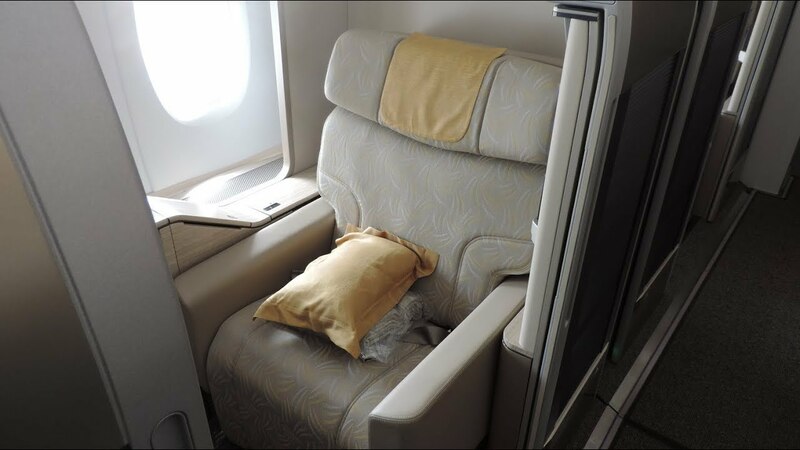 It’s important to note that you can only book Singapore Airlines business and first class by using KrisFlyer miles. There are very rare instances in which Singapore Airlines releases partner award inventory, but these are far and few between (new route offerings, for example). Luckily, there are tons of ways to earn Singapore Airlines KrisFlyer miles, so you’ll have no problem racking up miles quickly! 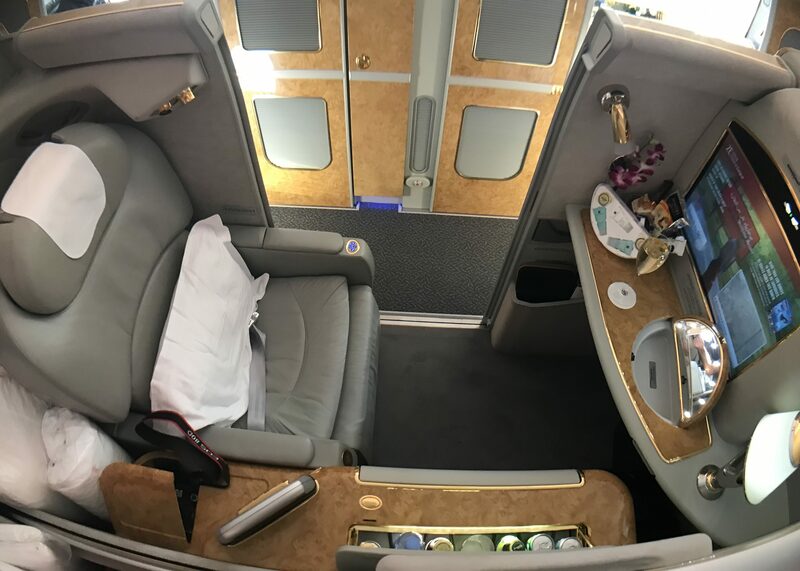 Hot Tip: It helps that Singapore Airlines has one of the most phenomenal airline experiences out there…just check out the first class suites we reviewed! Delta has some pretty acceptable partner award costs, but their own award costs for Delta products are horrible (particularly in Delta One or Delta One Suites). However, they’ve been pretty consistent about not passing on fuel surcharges if you meet at least 1 of the conditions above. It’s easy to earn Delta SkyMiles and very easy to use them to book award flights, so we went ahead and included them in our list. Alaska Airlines makes it extremely easy to figure out if they collect fuel surcharges on your flight. On all other airlines, including Emirates, they will not pass on fuel surcharges. This is extremely powerful, because it’s the only way to book Emirates awards without paying the huge fuel surcharges we mentioned in the section above. 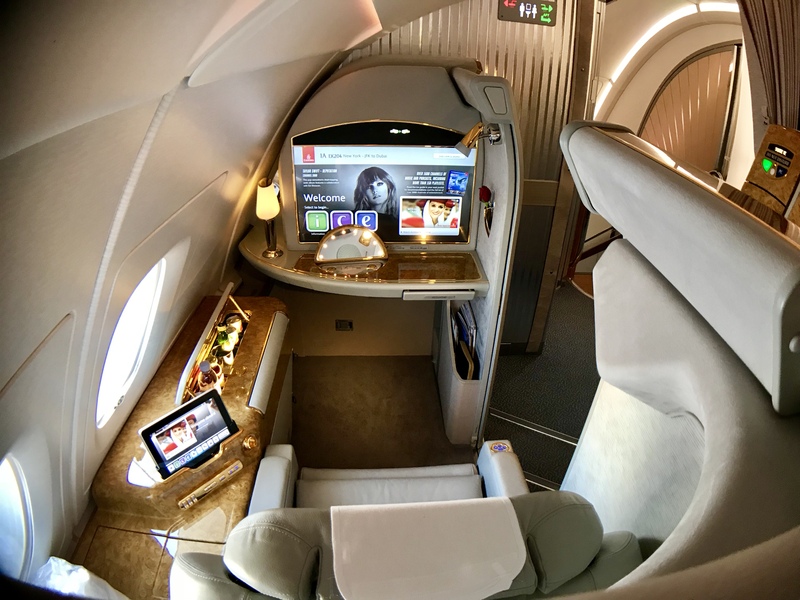 Emirates flight awards cost a ton of Alaska miles, but it’s still your only option to avoid fuel surcharges without modifying your routing. Hot Tip: Alaska Airlines has tons of other sweet spots that you simply cannot overlook — avoiding fuel surcharges on these flights is just the icing on the cake! It’s not very often you can book flight awards for cheap and avoid all fuel surcharges — but with a great frequent flyer program like Alaska Airlines MileagePlan, you just might be able to make it work. Also, you can earn Alaska Airline miles relatively easily. Air Canada Aeroplan is an oddity. On one hand, they have excellent routing rules allowing stopovers and open-jaws, but on the other hand, they levy fuel surcharges on their own flights (but not several of their partners). This is strange — you’d think they would reverse that to incentivize award travel on their own metal. Notably, you will not pay fuel surcharges on SWISS Airlines, Turkish Airlines, Air China, and Brussels Airways! Everything else is typically under $200 each way in premium cabins, so we believe those taxes and fees are quite tolerable. Hot Tip: Interested in using Air Canada Aeroplan miles? Check out the best ways to use them! Be sure to also double-check what region your destination is when using Aeroplan! American Airlines only passes on fuel surcharges on British Airways and Iberia. If you book award tickets with them, you’ll pay the full fuel surcharges on BA and partial surcharges on Iberia (approximately $150 on round-trip business class tickets). But as long as you avoid booking on these carriers, then you won’t be on the hook for any fuel surcharges! Therefore, use AA miles to book other Oneworld carriers such as Cathay Pacific, Qatar Airways, and Japan Airlines. Don’t forget that there are loads of ways to earn AA miles. 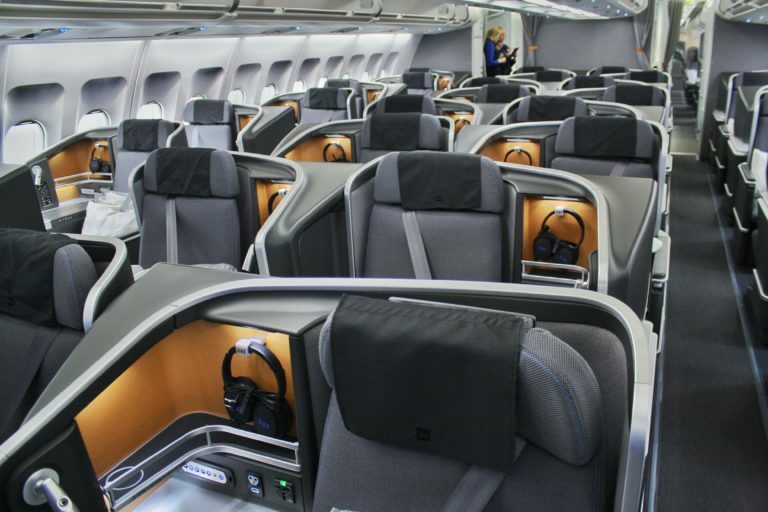 Hot Tip: There are tons of ways to use AA miles to nab some outstanding business and first class flights. Let’s pivot to discuss the last topic in this guide: changing your route to avoid fuel surcharges. Did you know that some countries restrict or regulate the fuel surcharges that an airline can levy for travel departing from the country? For example, if you flew from the U.S. to Dubai in Emirates first or business class, you’d pay ~$1,624 in fuel surcharges. However, if you flew from Auckland to Dubai, you’d pay $0 in fuel surcharges and $24 in total taxes and fees. Considering how huge the difference in additional fees is, your origin city is something you should definitely pay attention to when booking award travel! As long as your flights originate in these countries, your fuel surcharges will be significantly less than what you’d normally pay compared to a flight departing from the U.S.
You can play with city pairs in your travels by using one city from this table, and using the hub city for airlines that charge notably high surcharges as shown in the beginning section. Sydney (SYD) – Los Angeles (LAX) via Dubai (DXB) on Emirates first class will only cost $113 in total taxes and fees! There are an infinite number of routes you can take combining the countries above and the airlines in the top section of this guide to truly reduce the fuel surcharges you’ll pay. Ultimately, you’re limited only by your creativity, as there are definitely loads of ways to reduce fuel surcharges on flights. Fuel surcharges are a complicated beast. We’ve introduced the concept of fuel surcharges, identified the airlines that charge the most, and pinpointed the best frequent flyer programs to dodge those pesky fuel surcharges. Luckily, there are tons of ways to construct itineraries that avoid fuel surcharges using our tips above. A fuel surcharge is, in theory, an additional fee that airlines levy on customers to compensate for fluctuations in fuel prices. Which airlines don't pass on fuel surcharges? United Airlines and Avianca Vuela are examples of commonly used airlines that don’t pass on fuel surcharges. Which airlines should I use to avoid fuel surcharges on Star Alliance flights? You can use United or Avianca to avoid fuel surcharges entirely. Aeroplan selectively passes on fuel surcharges. Which airlines should I use to avoid fuel surcharges on oneworld flights? AA passes on fuel surcharges for British Airways and Iberia. Besides that, you won’t pay a dime in fuel surcharges. Which airlines should I use to avoid fuel surcharges on SkyTeam flights? Generally speaking, it’s very difficult to avoid fuel surcharges on SkyTeam flights. Your best bet is if the airline you’re flying fits in the criteria in the Delta Airlines SkyMiles section above. Otherwise, you’ll need to modify your routing to avoid fuel surcharges. Born and raised in Los Angeles, Stephen has been privileged to enjoy many premium cabin products and 5-star hotels, thanks to his love for travel hacking. A petroleum engineer by trade, Stephen caught the travel bug in college when he traveled to Asia several times. Within 2 years, Stephen has earned millions of points and miles, enjoyed several business class cabins, and stayed in luxury hotel suites in 14 countries. I may be wrong, but I thought that Hong Kong started allowing fuel surcharges. Hi Christian! You bring up an excellent point. Hong Kong used to completely ban fuel surcharges. Now, they allow fuel surcharges, but still regulate it. The most you’ll pay is around $167 each way in fuel surcharges. Thanks for reading! The other charge not discussed in the out of pocket costs is the award booking fee. For example, Qantas calls it “other carrier charges”. This can add $630 to a return premium cabin seat, in addition to the fuel surcharges. We understand your displeasure with the carrier charges that Qantas levies. However, these are not fuel surcharges, and Qantas is currently facing investigations for these extra charges. We would advise travelers who want to fly on Qantas not to use their frequent flyer program to book, and instead using a program like American Airlines AAdvantage or Alaska Airlines Mileage Plan. Thanks for reading.